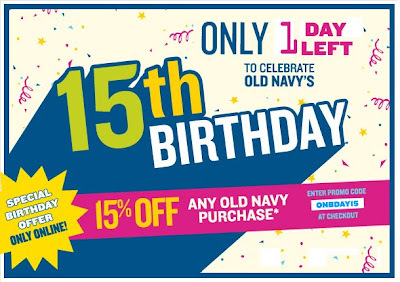 Old Navy is having a Birthday. They sent me an email offering 15% off of any purchase (through the end of today) using a coupon code at checkout. To get the discount don't forget to use the coupon code: ONBDAY15 at checkout. What do you all think? What are your favorites? 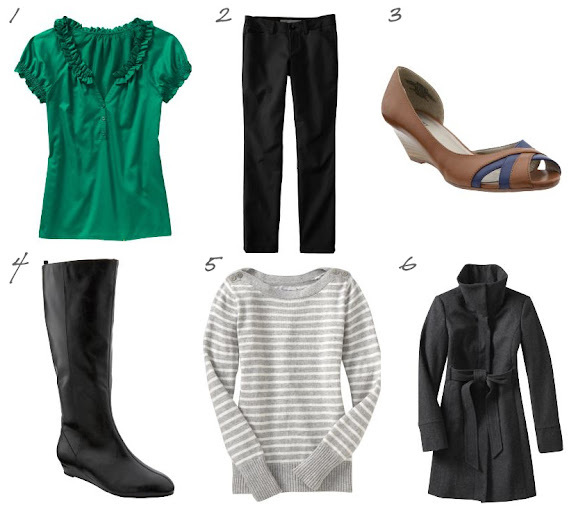 Has anything else at Old Navy caught your eye this fall? Leave a comment! I Love your website and I love getting updates on my reader :) Thanks for your hard work! Love your picks though! Those flats are my favorite. Oh no! Now I have to go buy the boots! Oh Old Navy. Last week I was there, browsing while waiting for my sister, and I discovered that they had just marked down a ton of their summer clearance items to $1.97...I picked up a bunch of skirts, shorts, and a dress for next summer, and even though I'll have to hold off on wearing most of it for awhile, it's still fun to have new stuff to look forward to! And as far as their fall items, I think their scarves are just adorable this year!